- 25% off the total bill. - Food must be purchased. - Available 7 days a week, after 12pm. - Maximum group size of 10 people. - Not valid 12-5pm on Mother’s Day, on bank holidays or on 31st December after 5pm. - In Scotland the discount applies to soft drinks only and not alcohol. - Offer not available in conjunction with any other offer, set menu, Afternoon Tea, kids menu, promotion or voucher, including the hot drink and pastry offers. - Cannot be used in conjunction with Tesco Clubcard points or vouchers. - Excludes Center Parcs, Airport Sites, Rapide by Cafe Rouge Euston. - Not valid at the O2, Cardiff or Edinburgh on event days at local stadia / arenas. Serving deliciously affordable French food and wine in an elegant bistro setting, Café Rouge is the perfect spot to dine any time of the day. 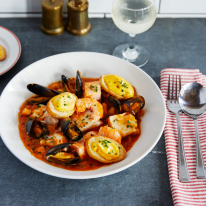 Whether you’re dining with family, friends or enjoying a romantic meal for two, Café Rouge is sure to delight with its award-winning menus, friendly service and relaxed ambience. The menu includes delicious starters, such as the smooth chicken liver pâté, served with a shallot & raisin chutney and chargrilled sourdough bread, the signature Soupe À L’oignon, made to their own recipe and served with a baguette, cheese and croutons, and the warm breaded Camembert cheese, with a delicious cranberry & redcurrant sauce. 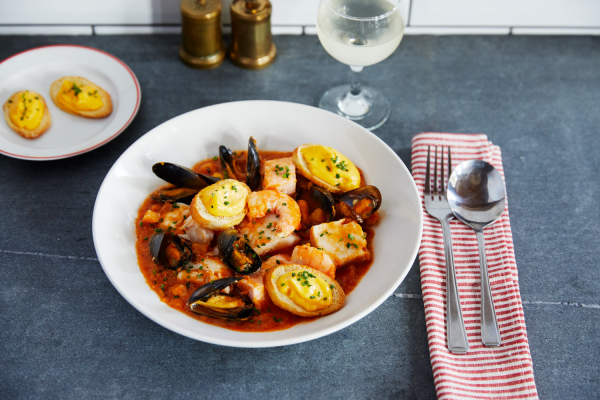 Try classic bistro favourites including the succulent British 35-day aged Steak Frites, the Moroccan-style Tagine, or fresh sustainably sourced Moules. And for dessert? Café Rouge recommends the Mousse au Chocolat, made with luxury Valrhona chocolate, or the mouth-watering Raspberry Parfait, with white chocolate sauce and salted caramel pistachios, what a way to conclude a meal! Maximum group size of 10 people. Excluding bank holidays and special occasion days, including, but not limited to, Valentine's Day, Mothering Sunday, Easter Sunday, Christmas Eve and Christmas Day.